Kahului, Central Maui, Hawaii “Urban Center”. Kahului is the hub of business on Maui. Sprawling homes, apartments, warehouses and communities dot the landscape and make Kahului the best place to find affordable housing, office space and a place to start up a business because almost everything is nearby. Costco, Walmart, and Target are all located here. Maui’s airport and major harbor is also located in Kahului. This town is a great mix of different ethnic neighborhoods. Kahului is where most of Maui’s residents live and work due in large part to the airport, heliport, sea port, malls, warehouses and schools. The median home value in Kahului is $499,100. 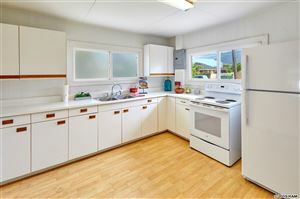 Kahului home values have gone up 6.0% over the past year. Mortgage delinquency is the first step in the foreclosure process. This is when a homeowner fails to make a mortgage payment. The percent of delinquent mortgages in Kahului is 0.1%, which is higher than the national value of 0.0%. With U.S. home values having fallen by more than 20% nationally from their peak in 2007 until their trough in late 2011, many homeowners are now underwater on their mortgages, meaning they owe more than their home is worth. The percent of Kahului homeowners underwater on their mortgage is 0.1%, which is higher than Kahului Metro at 0.1%.